Because it’s natural, it’s naturally better. The 7X list of ingredients is extremely brief: “Beef.” But it takes a surprising amount of high-protein goodness to get to that point. Our herd grazes in high-mountain meadows, and grasses and herbs like brome, timothy, orchard, alfalfa, clover, and annual legumes make up the all-natural diet that builds the muscle and fat that become the world’s best tasting beef. 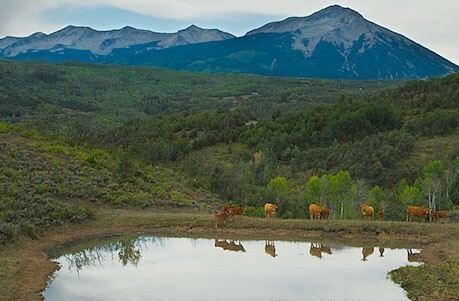 At 7X Cattle Company, we are committed to sustainable ranching practices, including rotational pasture systems, efficient water management, and quality fencing operations to ensure a high quality of life for each member of our herd. We know that the tastiest steak comes from the healthiest, happiest steers.